Make your way to the Philipsburg cruise terminal to meet your group and cycling guide. After a brief safety orientation, get fitted for a bicycle and safety gear. After you practice a little bit go get comfortable, follow your guide into the streets of Philipsburg. Visit the Passangrahn Hotel, the oldest inn in St Maarten, and learn about its colorful history and West Indian architecture. In the center of town, see the Philipsburg Courthouse on Front Street and Captain Hodge's Wharf. 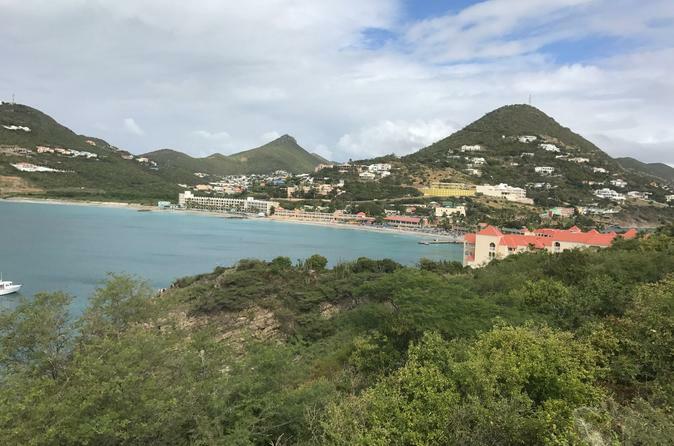 Leaving downtown, pedal up Little Bay Hill, which affords views of Great Bay, Little Bay and the whole of Philipsburg from the top. Feel free to hop off and walk your bike up the challenging hill. Pedal through the Divi Little Bay Beach Resort to reach Fort Amsterdam, perched out on a peninsula. Built in the 17th century, this fort was the first belonging to the Dutch in the whole Caribbean. Learn about the many battles between the Spanish and Dutch fleets that took place here in the 1600s. The site offers panoramic views of the city and Great Bay. 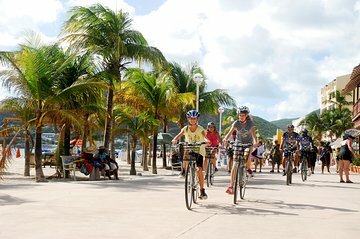 Cycle along a pleasant boardwalk back to the Philipsburg cruise port, where your tour will end after 3 hours.